On into Maryland, feasting on some more beautiful but foggy scenery. 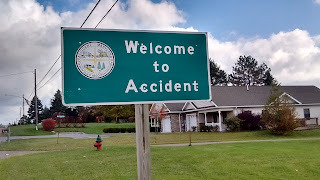 Just in time for a late breakfast, we rolled into a place called Accident. Yes, really. This was Annie's Kitchen. Where I (over) indulged in something called a "cheeseburger omelet (te). Yes it had cheese and mince in it and it certainly hit the spot. 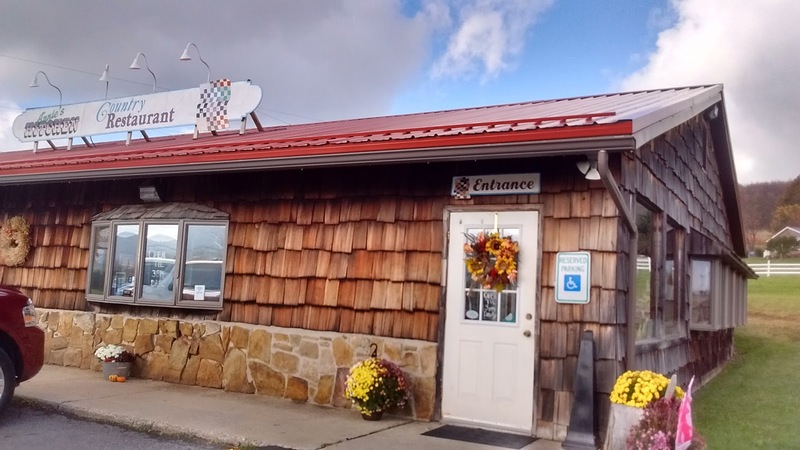 It was the sort of big-hearted place that serves breakfast all day and had piles of a newspaper called "Sword of the Lord", stamped with the name of a local Baptist church. It was originally founded to cater mainly for hunters with big appetites and judging by the look of the clientele, it still does. 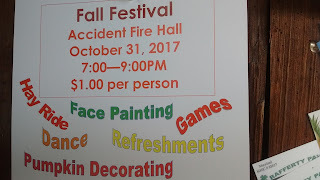 Here's a flyer for the Fall Festival at the Accident Fire Hall. 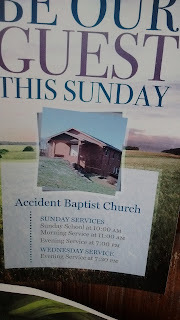 And one for the Accident Baptist Church. There were some fun things on the walls. 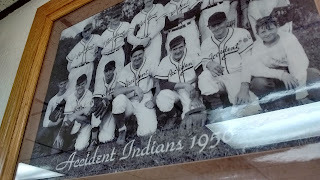 And the Accident Indians posing triumphantly. 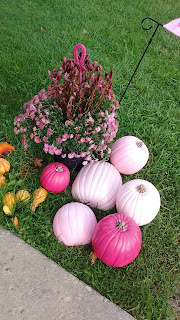 Outside there was a sweet display, the only evidence I've seen of pink pumpkins. I'm sure the coffee wasn't laced with anything - much too wholesome a place for that. It must be the climate in Maryland. Of course we had to stop and take pictures of the sign. The people in that house must be weary of travellers doing the same, day in and day out. Now you may wonder, as we did, why it's called Accident. Generously, Annie's Kitchen provided an explanation on the placemats. (They were probably tired of being asked.) 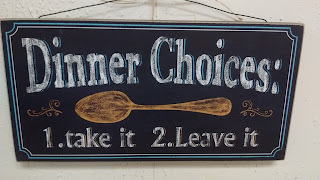 Sadly it turned out to be a little mundane. Back in 1751, or thereabouts, one George Deakins received a grant of land from George ll in payment of a debt. 600 acres anywhere in western Maryland. He sent out two sets of surveyors, independently of each other, to choose the best land. When they got back they discovered they'd both chosen the same piece of land. 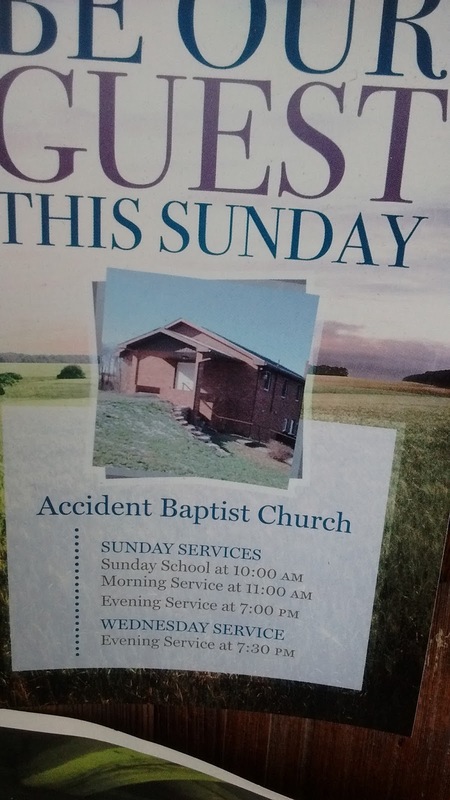 So Mr Deakins called it the "Accident Tract". In the language of those days, "accident" meant "chance" . I suppose. 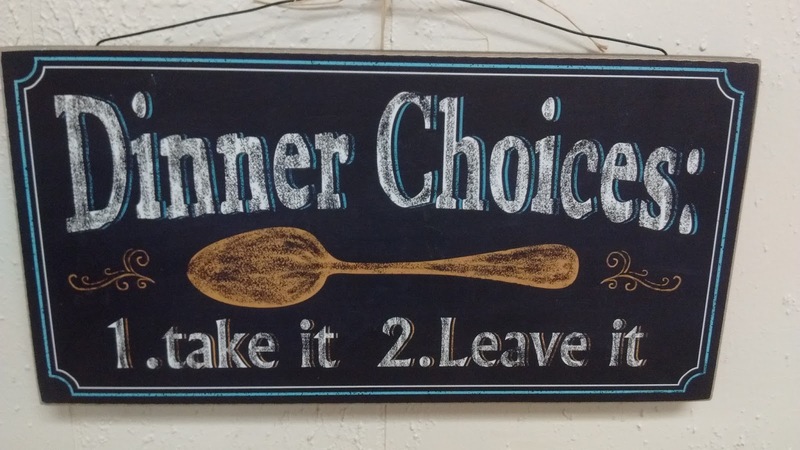 As in finding Annie's Kitchen was a happy accident for us.